With the abundance of brands that we offer here at Prestige Imports, we generally don’t like to revisit brands for at least a few months. 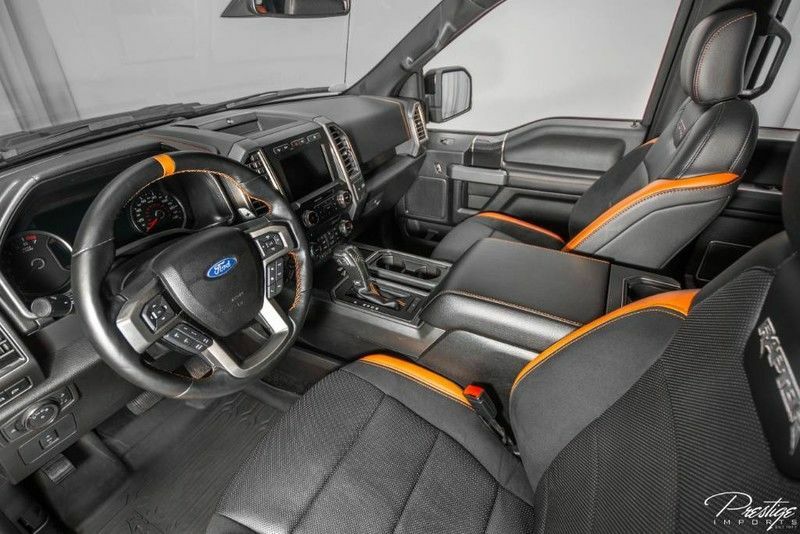 Sometimes exceptions need to be made, though, and that’s the case today as we look at an awesome 2018 Ford F-150 Raptor that’s currently for sale right here at Prestige Imports in North Miami Beach FL. We looked at a 1977 Bronco in July, but it’s hard to pass up highlight 2018 models because they’re so new. Plus, this Raptor is just awesome! Having only been driven a bit over 8,000 miles, it’s still practically new, and its incredible design and fantastic specs & features more than make up for that pre-owned mileage. For instance, its 3.5L V6 Ecoboost engine might not sound like much, but it actually generates a whopping 450 horsepower, enabling it to carry well over 2,000 pounds in its truck bed and haul up to 8,000 lbs. extra by towing. The Raptor’s true claims to fame, however, are its fantastic design and incredible features. 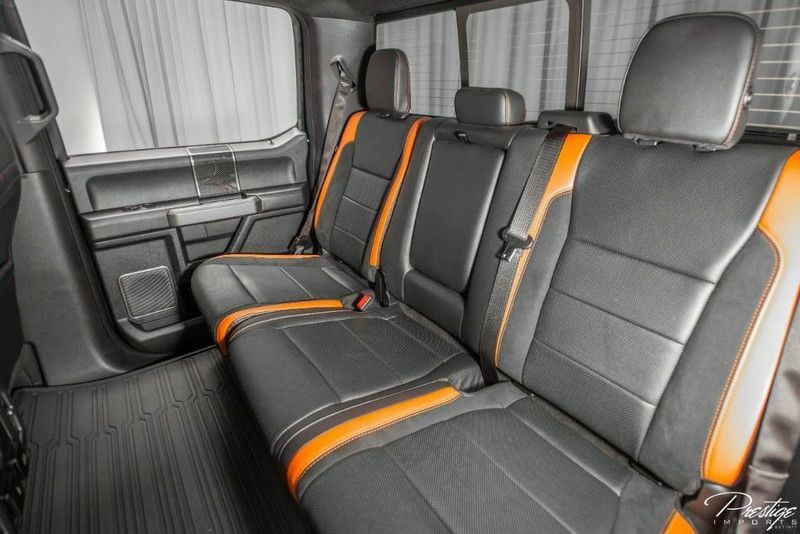 You can see what makes its design so special and unique just by look at the all of the pictures above, and the best way to see the great features the Raptor has to offer is by coming in and testing them out for yourself. But we’ll list of a few just to give you a taste: 2 LCD monitors in the front, deep tinted windows, variable intermittent wipers, a rear step bumper with two tow hooks, 3 12V power outlets, and so much more. If you’re interested in making this 2018 Ford F-150 Raptor your own, be sure to get in touch with us right here at Prestige Imports today! This entry was posted on Friday, September 7th, 2018 at 3:51 pm	and is filed under Ford. You can follow any responses to this entry through the RSS 2.0 feed. You can skip to the end and leave a response. Pinging is currently not allowed.